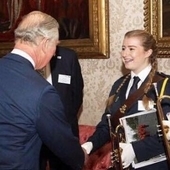 It has been an amazing week for JLGB, with not just one, but three events with HRH The Prince of Wales! It has been a remarkable week for the JLGB, celebrating achievements across the organisation at three different Royal events! 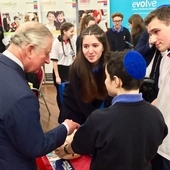 These auspicious events recognise the tremendous work everyone at JLGB does to create a positive future for Jewish Youth by delivering faith-sensitive character building programmes which give young people the best possible chance to succeed and to become active citizens within our community and wider society. 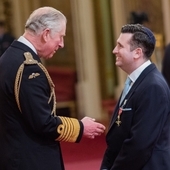 "We were honoured that HRH the Prince of Wales saw how our Jewish youngsters, through JLGB, are giving back to society through social action both inside and outside of the classroom. As President of the JLGB, I am extremely proud of everything JLGB does across all its local groups across and through the strong partnerships it has with all Jewish Schools across the country, to make social action accessible to young people of faith, especially at a time of so much uncertainty around the world. I simply cannot think of any better message and no better organisation than the JLGB that shows both our own community and wider society how you can be proud to be British and proud to be Jewish. JLGB gives young people the tools and skills they need to navigate a digital and global world, empowering them to become‎ the innovative leaders of tomorrow who in turn then give back to society with abundance."